The beauty of precious stones is never over for excavated. This was echoed by Piaget. This collection, Limelight Garden Party, featuring a sprinkling of diamonds and precious stones through a series of various forms of products such as watches, necklaces, rings, and bracelets. Contour of roses apparently so inspired this collection. Flower buds form the elegant looks after paired with glittering diamonds accentuated by other precious stones. The diamond is the most feminine of the precious stones, a symbol of perfection. 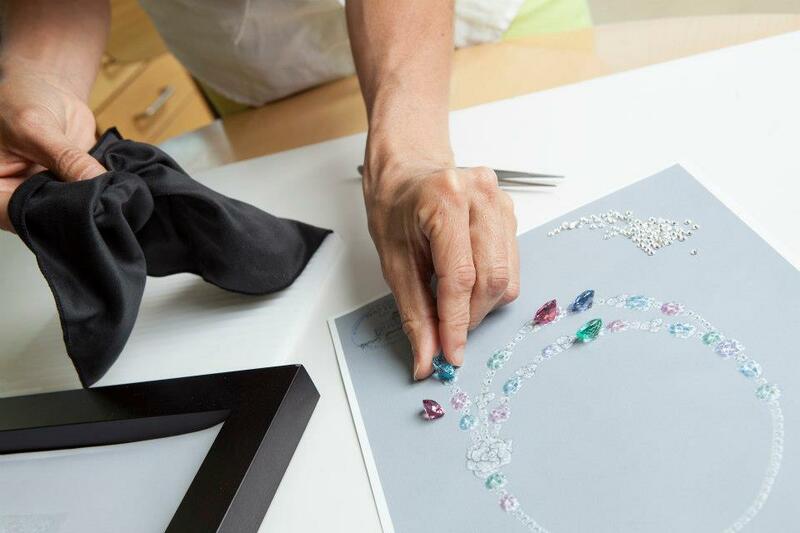 Piaget places the “queen of gems” in the spotlight through its many High Jewelry creations. To give color to its creations, Piaget uses gemstones such as emeralds and many other precious stones. Tourmaline, topaz, citrine, amethyst, spinel, peridot, garnet, aquamarine, opal: their colors, their hardness and their quality are key factors to their gemologists when choosing a gemstone.